Frank Lloyd Wright went to Buffalo in 1903 to build offices for the Larkin Company, and, in a way, he is still building there today. Unfortunately, the Larkin building no longer stands. 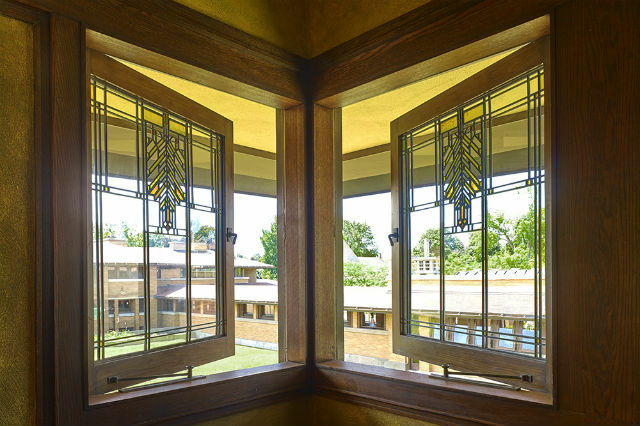 The showpiece of Frank Lloyd Wright’s architecture in the city is the Martin House complex, where a 20-year, $50 million-plus restoration and reconstruction project is just coming to a close. And during that time, more of Frank Lloyd Wright’s visions for the city were coming into being. A filling station, a boathouse and a mausoleum have been constructed to Wright’s specifications. Darwin D. Martin, an executive at the Larkin Company, was somewhat of a benefactor for Wright. Not only did he hire Wright for the downtown Buffalo office building, which sadly no longer stands, he commissioned a number of residential structures for personal use. Hence, the profusion of Wright designs in and around Buffalo. An All Wright All Day trolley operating on limited dates from May through October takes visitors to most of Wright’s contributions to Buffalo. Two of the homes he designed are still occupied as private residences. 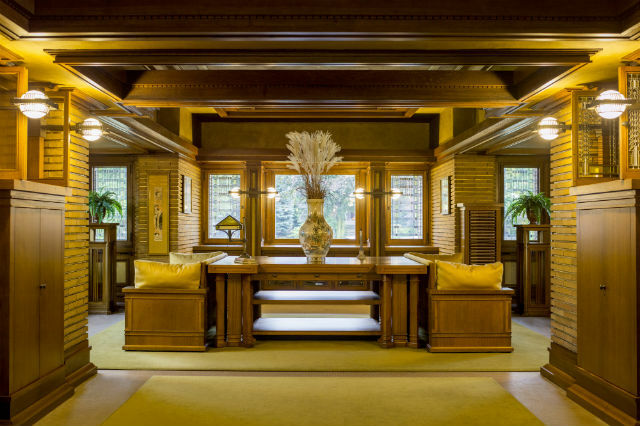 Journey with us through Frank Lloyd Wright’s Buffalo. Every intricate detail of Wright’s prairie design is represented at the Darwin D. Martin House and grounds. The site includes the Barton House, Wright’s first commission in the city, the main house, a long pergola, conservatory, carriage house, greenhouse and a gardener’s cottage. Every structure, inside and out, is a unique example of Wright’s aesthetic – melding interiors with the natural settings that surround them. Wright’s well-known “light screens” are prominent here. There are 400 or so art-glass windows including the property’s signature “Tree of Life” design. The impressive wisteria mosaic fireplace dominates the first floor. The furnishings are examples of how “Wright didn’t just design the buildings, he told you what to put in them, and he bought items and then sold them to you,” as a docent mentioned. There are various levels of Martin complex tours offered to the public. I suggest the two-hour tour that encompasses most of the property. The one-hour tour, mostly of the main floor of the main house, will leave you curious to see more. A series of broad white stone steps up a small hill appear as if floating above the ground leading to a platform and large rectangular monument. The Blue Sky Mausoleum was built about 45 years after Wright’s death, and 70 years after the death of the man it was meant to memorialize. Wright envisioned this mausoleum for his good friend Darwin Martin in the 1920s. 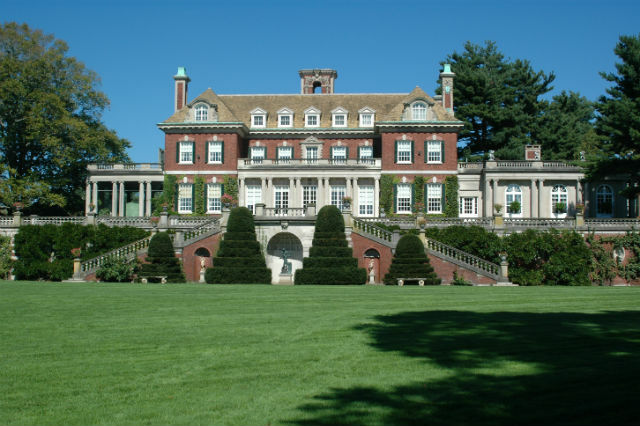 It was built by a Wright-trained architect in 2004 after painstaking research that included correspondence between the two men. The Blue Sky Mausoleum is impressive but there are magnificent monuments scattered throughout the cemetery’s 270 acres, including the burial place of President Millard Fillmore. The cemetery hosts a number of special events, lectures and tour opportunities. 6472 Old Lake Shore Rd., Derby, N.Y. This Martin family summer retreat nestled on the shore of Lake Erie almost met its demise in the 1990s until concerned citizens stepped in to save it. In 1998, it was designated a New York State Landmark. The restoration is a multi-phase project. Returning the property to its original state by removing non-Wright structures was the first priority. A number of structural repairs and the interior is complete, and now the focus is on the extensive landscape. 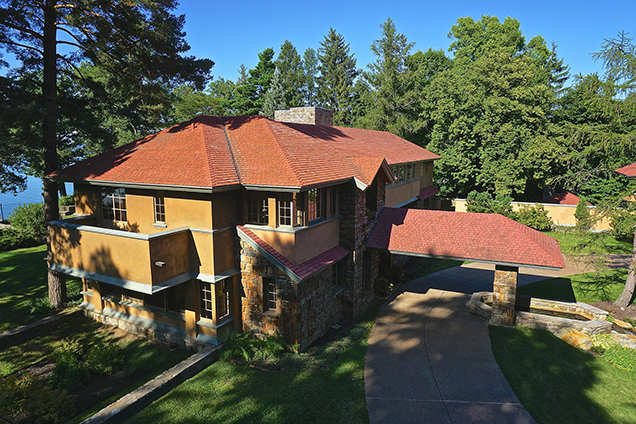 Various tours of Graycliff Estate are offered year-round. Another of Wright’s designs for Buffalo that took more than 80 years to complete is the gas station that sits entirely within the Buffalo Transportation Pierce-Arrow Museum. The Buffalo Filling Station is a two-story 1,600-square-foot installation. It’s probably the most attractive gas station you will ever see. It incorporates glass features, of course, and is topped by a flashy copper roof. The museum itself honors Buffalo’s own Pierce-Arrow Motor Car Company through the manufacturing of bicycles, buses and prestigious cars to its innovative line of trailers. In the early 20th century, its luxury cars were the official vehicles of presidents and driven by celebrities like Babe Ruth. The museum is open at varying hours and days, so check before visiting. The boathouse wasn’t originally intended for Buffalo, but it sure looks nice beside the Blackrock Channel. This Wright design was brought to life in 2007, more than 100 years after it was drawn, and years later became part of Wright’s Wasmuth portfolio. Wright created the plan for a friend at the University of Wisconsin. It was meant to be placed along the Yahara River but was never built. In 2007, it opened to the public in Buffalo thanks to philanthropist Charles Fontana and his family, for whom it was named. 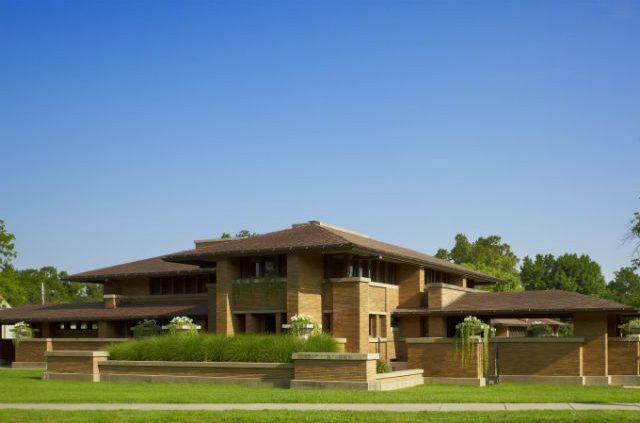 Tours are offered through Darwin Martin House and Explore Buffalo on select dates. The space is also available for rent to host special events. Buffalo may not be the prosperous city it was in the early 1900s, but it can still count a number of architectural gems. While Frank Lloyd Wright’s Buffalo contributions are are among the most famous, the skyline is a scattering of works by other notable builders. They are treasured pieces from Buffalo’s past. Many offer public tours; various tour companies do as well. 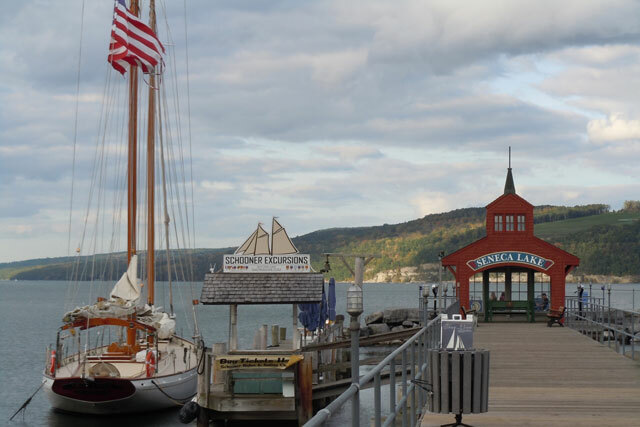 Buffalo has an abundance of fun things to do beyond the architecture, although the Buffalo History Museum and the Albright-Knox Art Gallery are structures to behold. 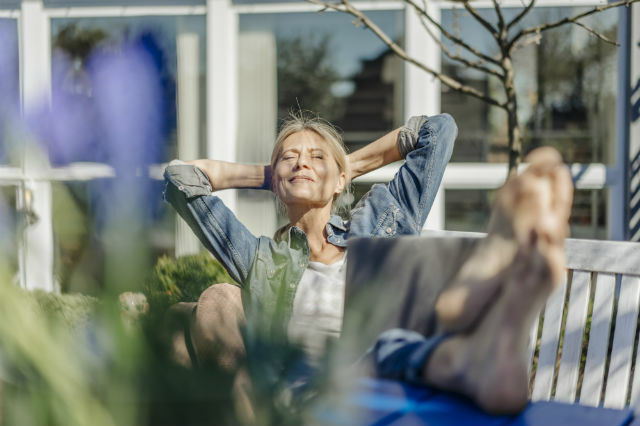 FIND AND BOOK A HOTEL WITH AAA IN BUFFALO, N.Y. 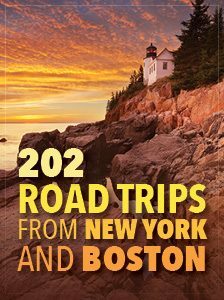 Article tags: AAA, book a hotel, buffalo, car, gas, home, house, lawn, motor car, save, things to do.